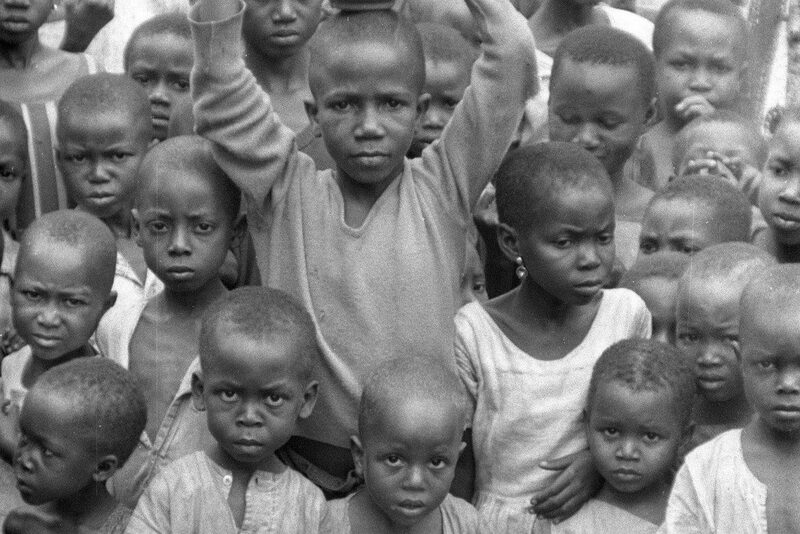 Edith Daniyan remembers the Nigerian Biafran War. Photo by Chika Oduah. I’m Chief Mrs. Edith Daniyan and I’m from Delta. My dad is Urohobo, while my mom is Edo. So I’m from the old Bendel state in Nigeria. I’m 70 years old. I used to be a development banker. I worked in a development finance company and the job was to source and put together proposals for financing in the industrial sector. Now, onto the Biafran War, I had finished A levels and in those days we used to wait nine months to get into university and we’d normally work those nine months. We’d finish A levels in December and universities don’t start till September, early October. So I was waiting to enter university. 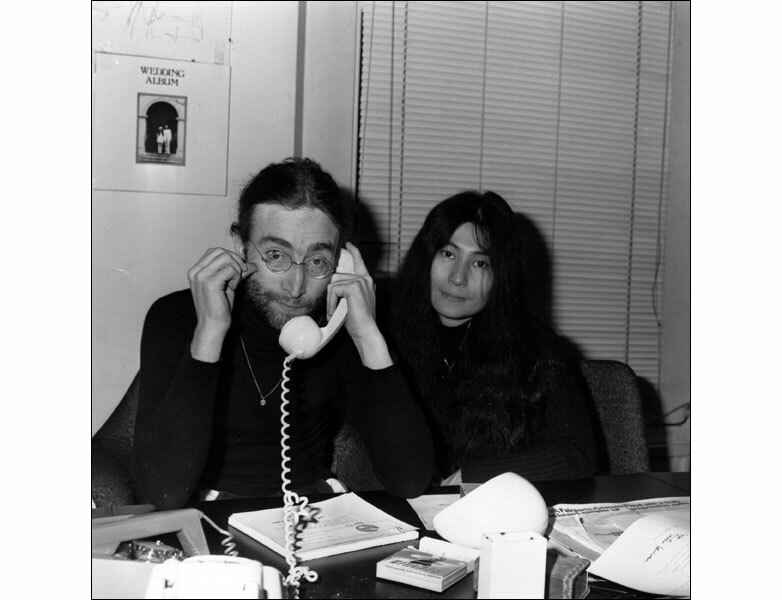 I think they came in – but the war had started, but it was mostly in the east and the movement had started in 1966 with the coup and all the things that led up to the war actually breaking out. I was in Queen’s College doing A Levels during that time and all the problems were going on, movements, killings in the north and Igbos moving back home to the east and all that and all the political wrangling that was going on and the war actually started-I don’t remember exactly when, but I was in Sapele where my parents were at the time and was waiting to get into university. I remember I was going to go to Lagos the week following my birthday, which was the fifth of August. My father had thrown me a big 21st birthday bash so I had to wait for that. I had taken some exams- scholarship exams- and the interviews were coming up, so I thought it would be a lot easier to go to Lagos, stay with my uncle. That way I’d be within easy reach of the various embassies. I had applied to some UK universities. My admission had come through and to some universities in Canada. So I wanted to- have my birthday out of the way and then go to Lagos, so that I will be within easy reach of the embassies for subsequent exams or interviews. 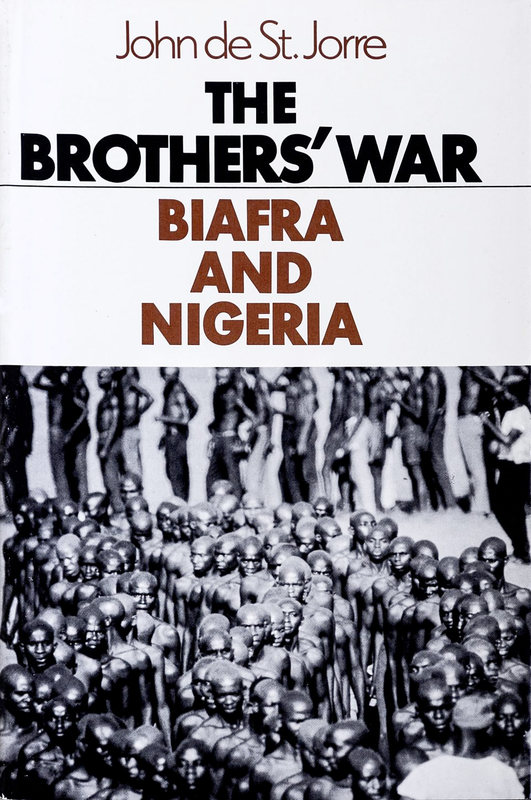 So, yes, I woke up one morning and there were Biafran soldiers all over the streets of Sapele and straight away, because they had moved into Midway State at the time, we were cut off from the rest of the country. It meant that we could not leave. And I remember the sinking feeling in my stomach that I had not been able to leave before they came in so that is how we were sort of cut off from the rest of the country. I felt more and more depressed. It was a very sad period in my life personally because I was very, very upset that I missed all the interviews and subsequent exams that I would have had to go through to get, to access the scholarship exams that I had passed and all we had was the radio. We listened to what was going on in the world. It was like my one link with the outside and each time I heard a batch had gone away, I felt more and more depressed. Worse, still, for me, against my father’s council at the time, I had applied to only one university. It’s not what do you have now, the Joint Admissions Board. You applied to any one of the five universities which we had at the time—it was Ibadan, Nsukka, ABU, Ife and Lagos and my dad thought I should apply to at least another one, hedge my best but I was very sure I would get into Ibadan and in any case I was more interested in going abroad. I thought Ibadan was just fine in addition to the other universities. And I had passed the exams. So all I was waiting to do was to go and have my interviews and go away. So there I was, stuck. My results from Ibadan had not come but I couldn’t believe that I would not get admission into admission into Ibadan because I had done well in my A Levels. I passed all my papers and I knew I should have been able to get admission but there I was. So I was a very miserable young woman. 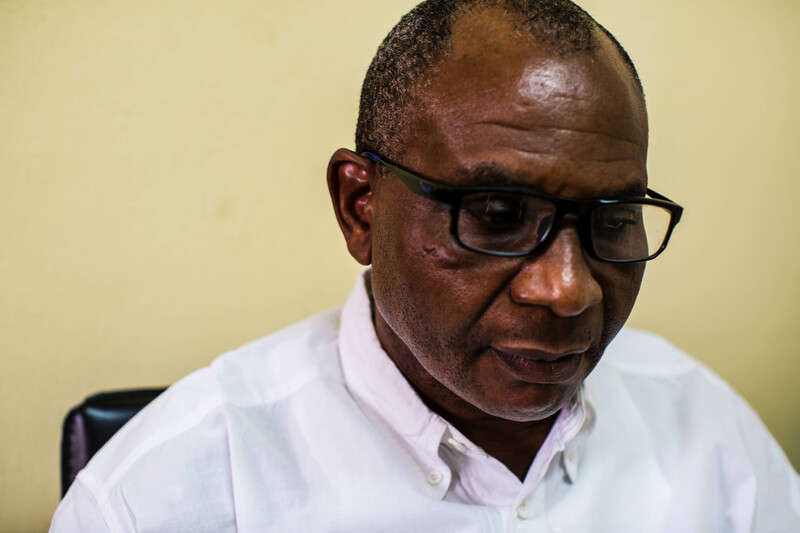 The Biafran soldiers didn’t really harass anybody but for me their presence in the city and the state felt like imprisonment for me. It meant I could not leave Sapele. I could not leave Midway state. I couldn’t get to Lagos, where I needed to be, to be able to access what I saw as my future. I had passed the initial exams. I had crossed the first barrier. All that was left was a series of tests and oral interviews and I thought that was a walk over. My admissions were in place. In fact Leeds had sent me the orientation program. Everything was set. I was just- all that was left for me was to get the right scholarship and I was on my way. So each day that passed was like putting me away. Pushing me further and further away from my dream and my future, what was going to happen to me? I was going to end up losing a whole year. I would not be able to enter university when my mates are going in and that made me very unhappy but life continued as normal and I did not like to go out but where we were living, it was necessary that from time to time I go to town. I go to the market, I go to the shops. They had several road blocks mounted by the soldiers and at every point, most of the time, they would get you to come out of the vehicle and look you over and talk to you. They were usually, mostly recruits, corporals, and so on. The odd sergeant amongst them who felt like he was a general, like he was the big boss, that kind of thing. They really could have done or said anything to you. They could ask you to just be dropped there for whatever reason and you’d have no choice but to do their bidding. We really didn’t fare badly. You had that strange feeling when there was like an army of occupation there but all the time listening to the news and I was an avid news person. I still am. We kept hoping and praying that the siege would be broken. That federal soldiers would be able to come in and liberate the state so that we are not just boxed in. We were not in the east, the actual theater of war but it was like the war had been moved to a state and that was an uncomfortable feeling to have but the worst part of it was not being able to go anywhere. You could travel within the state but you couldn’t go out because the question of going to the east was not a feasible or viable option because that was the theater of war. You wouldn’t be trading a place of siege for an actual war zone. So we were just trapped there. I think it was maybe October. After a few months, we were actually liberated by the federal soldiers and I still remember there was a slogan. I listened to the news one day and it was an announcement. This is a special announcement on the national radio. “The three frogs are swimming.” I heard it again after a while, “special announcement – the three…”, and straight away, something in my spirit said this is the federal government. Something is afoot. We are probably on the verge of being liberated but that again rang alarm bells because that again meant that we were now going to be a theater of war. If federal soldiers were coming, there would likely be a fierce resistant and a fight, with all that that entailed. And in reality, federal soldiers actually landed and they came and I think the soldiers were the first to realize what had happened and news just went round the town like wildfire that Biafran soldiers were fleeing and there was such jubilation, such relief that the siege was over and some hid, some took off their uniforms and changed into camouflage. That went on and there was a mopping up operation kind of and finally the siege was broken and we were now free but by this time it was late October or so and I was even more depressed than before because universities had opened locally and internationally. All admissions were closed. I had not taken up my offers and Ibadan, the only university to which I had applied, had not given me admission or so I thought. I had not received anything and I was very miserable. My father was very sorry for me but there was nothing he could do about it. And a family friend kept coming and saying “look, there is no way with your A level result that you would not have been given admission.” I said no, I wasn’t going to fool myself by going to Ibadan to go and check. And in the end my father prevailed myself to go and he offered to drive me with his family friend. And I finally, I was convinced to go. This was now November. He convinced me to go. That he was sure I would have been given admission. If I was given admission, I mean my admissions from foreign universities all came and it’s only Ibadan that didn’t give me admission. Finally we went, but the war was still on. It’s just that the Biafran soldiers had been rooted out of Midway state, so we went. We left Sapele a bit late and we got to Ibadan after 6 p.m. and in those days six pm was the beginning of the curfew time. All major cities, they shut. You could not go in or come out of any city so you get to any major city and you find miles of traffic in either direction and you’ll be there. There was a military check point. So we joined miles and miles of vehicles. It meant that everybody slept in their vehicles or just walked around till daybreak at the checkpoints. So we stayed at the checkpoint through the night. It was uncomfortable. It was a Volkswagen, a beetle, that we travelled in. it doesn’t give too much space to stretch out. So most of the night I didn’t sleep and as soon as it was six pm and movement started, we moved into town. There used to be a hotel just beyond the border named Green Springs Hotel then, so we went in, took a room, had a bath, had breakfast, and I almost couldn’t wait to get to UI. We got there and we went to the registrar’s office. And I think convocation was in another week. Of course lectures had started in first week of October. I went and they said yes, I was given admission into the department of economics. Your letters were dispatched in was it June or July. So what had happened was the letters had gone but had not been distributed by the time Biafran soldiers entered the state so it was locked in there. So they gave me a copy of my admission letter and asked. They were not surprised that I didn’t take up the offer because invariably, if your grades were good like mine were at the A levels, you were in the same group of people who would be admitted into all the other Nigerian universities. So there was sort of a struggle to see which ones you would pick. So, if I had applied to all five universities, in all probability, I would have been given admission in all five because my grades were good. I think that was the rationale behind the joint admissions thing. As a way of streamlining. You know kids now show their preferences and you get admitted into your first choice and the other places could be given to other children. I had to go back home because I just came to find out why I was not given admission. The family friend was sure that with my grades I should have been given an admission so why did I not get admitted, maybe something happened. He was sure that- I didn’t think so. I thought it would be a disgrace to go there and actually be told to my face that I actually wasn’t admitted. I now had to collect my admission papers, hurry back home. I think we actually went back that same day to Sapele because I had to go back and get ready to resume and that was what I did. So thankful I didn’t lose a year but I lost about two months of classes but I was just in time for convocation. If I had delayed going, and convocation had taken place. That would have been it for that year. So we entered. Unfortunately I had classmates – Igbo girls- with whom I was doing A Levels in Queen’s College in Lagos. Some had- against the school rules- sat the preliminary entrance exam, which meant you could leave a lower six to do an extra year and enter university one year ahead of the rest of us. So some had gone and because they were from the east and Ojukwu had called for all the Ibos to return home. They left the university and went back to the east. Unfortunately, when we were graduating in 1960, and the war ended in January, just before we left campus, they returned. They had lost not 1 year, but 3 years. Throughout the rest of the war I was in Ibadan. You couldn’t possibly forget it [that a war was happening]. The country was at war, like I said even though the west wasn’t and the areas we were in were not theaters of war, the effect of the war was felt. We felt, like there were occasions where Lagos was bombed. There was the casino bombing in Lagos, so it could have happened anywhere and the soldiers were on guard. It was a real war situation if you like. We were on a war footing. There were checkpoints- military checkpoints- all over the country and it was the first time we heard that you had police checkpoints and things on the road, but never military checkpoints. Throughout the war, there was military presence throughout the war was very strong. The military was on the news on a daily basis so there was no way you could forget there was a war on. The difference was you were not on the main theater of war. You didn’t witness the fighting but the throwback, you had people in the military or you knew people who had relations who were in the war. People were injured, people who were killed. That was a reality of life. There was a young neighbor of ours in Benin near my grandfather’s house. They were three houses away from us. One of their sons, a brilliant, brilliant young man, we were in secondary school about the same time, and I think he left and went to NDA so he graduated and because he was good and the war was on, he got promoted pretty rapidly. When I was in university, he was, he had become a major. I was home on holiday once and he came home. He just got married and you know, handsome tall young man in an army uniform looked you know, striking and he’d just come from the war front and my grandfather called him you know and chatted with him and prayed for him and all that. And I think a day or two or after that, he left his young wife, went back, he got killed. Almost within a week of that. So a lot of us had experiences of people we knew closely. Neighbors, relatives, friends, who had been casualties of the war. So it wasn’t something that was very far from your consciousness. You knew that there was a war going on and like a Benin name and expression says war is not pretty. It is – when it touches you in some way, the reality of it dawns on you. It wasn’t something you forget just because you were not living in the east where you were actually being persecuted. It was on the news constantly. Even the politics of it, the talking, trying to find a resolution was not something that you could forget or oh, it’s like something far away. It wasn’t really far away. It was in all our consciousness. It wasn’t far away but it did not affect our day to day lives. I remember as a student in my three years in Ibadan. I think the one demonstration I took part in was when Nyerere [Julius Nyerere] recognized Biafra. We all skipped lectures. All the school long buses and even some small buses, commercial buses that used to come into the campus were all hijacked and we had a march into town and we were shouting “Crush Nyerere, Crush Tanzania,” for recognizing Biafra and wanting to split the nation. In my three years of as a student, that was the only strike action that there was and it was called by the student union to protest Nyerere and Tanzanian’s recognition of Biafra so it wasn’t something that was far from our consciousness. We knew there was a war and everybody could not wait to see the end of it. We wanted the country to remain one. We thought that was in our best interest. 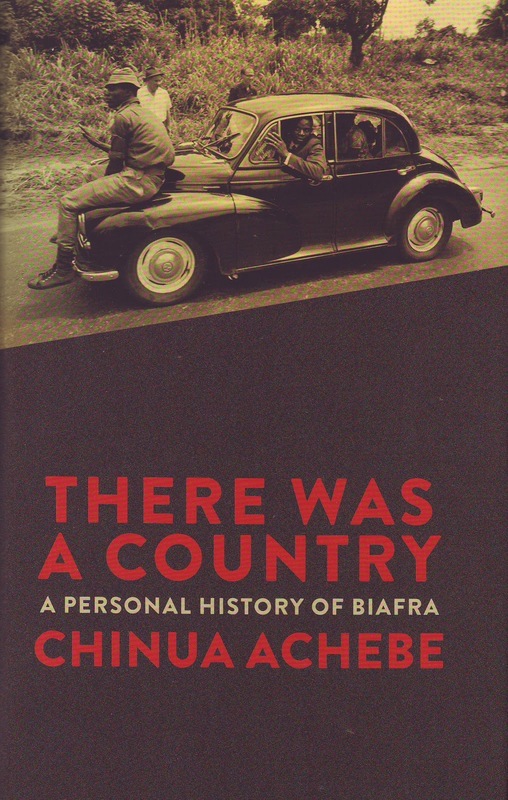 We, [in Sapele] didn’t we didn’t think that we were part of Biafra and if you know the geography of Nigeria, the River Niger was like the boundary of the east and the west. It used to be the north bounded by the rivers – Benue to the east, Niger to the west and the west to the south of that and- the bottom it was the Niger that separated the east from and we were on this side. It’s like, go to Asaba for instance and Asaba was on the west. Onitsha is on the east. there are two towns on the River Niger so geographically we saw ourselves as being in the west. At that time the midwest state had been created which is the old Edo, and Delta. That is, the midwest region out carved out of the west. So the Biafran thing was the east and even the minority tribes there like the Rivers people now and the Ijaw people, the Bayelsans, -the Efiks, did not really- they were not happy but most of them to be part of Biafra. What we felt was Biafra was an Igbo enclave largely and the other people who were not ethnic Igbos did not think they belonged in that group and it is like they were lumped together because of the- their geographical position and definitely not us on the other side of the Niger. we didn’t feel we’ve eh I don’t none even think the Asaba or the Igbo area of the Midwest state felt that much affinity to want to be part of the war. 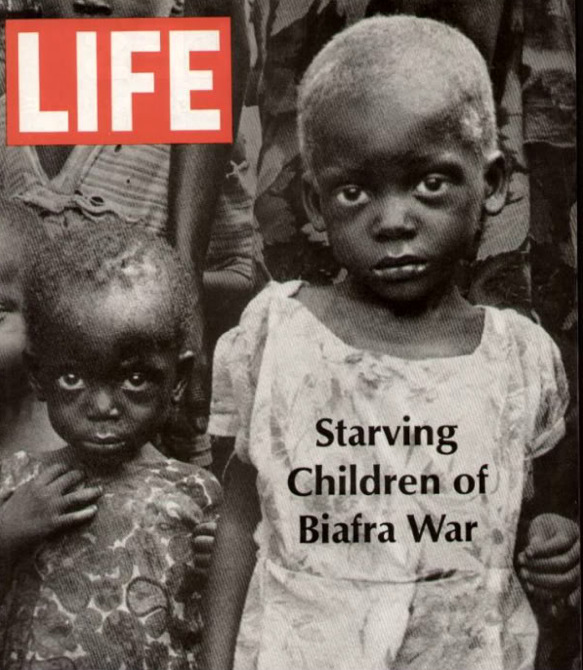 There were moments when Biafrans were rooted out of the Midwest state, that was it. Federal soldiers were now stationed all over the state and the Asaba- the part of the state was actually a frontline for the prosecution for the war. That was one front, so, there was the- there was a feeling of being protected. They were not, the soldiers were not there before Biafran soldiers. They just like walked in and it was like open doors and things like that but after they were beaten back, the soldiers stayed and there was that feeling of okay, we are protected. If they needed to come back, they would have had to fight for it which was what isn’t what happened. They just moved in. I think that the saddest day for me [throughout that whole period] was the day I woke up thinking- I thought I was supposed to go to Lagos in another two days or so and found that I was grounded. That for me was was the war for me. That was my war, and it had come to my door step. I was 21-years-old. How we look at things as a young person is a big difference from the perspective that you have when you are much older. The things that happened to them [Igbos] – all the killings and what not- wasn’t a child’s play and was not funny. It was a kind of ethnic cleansing and I think each time you do not fight it, you are making room for it to happen again and again. I think after the after the second world war, nobody thought there could be ethnic cleansing the way that it happened with the Jews but history has proved us wrong. You’ve had it in Kosovo, you’ve had it in Rwanda. We had it to some degree in Biafra, among the Igbos and I think anyone with a sense of history would and should stand up to that kind of massacre because if you do not stand up to it, it becomes impunity. It will continue. To think that no, this is a horrible thing to contemplate. It is unlikely to happen is naiveté. It will happen, over and over again if people do not rise up against it and say no this is unacceptable. We are not, whatever it takes. In the case of Ojukwu [Chukwuemeka Ojukwu], he saw secession as the answer to his people being slaughtered and he had right to take a decision that way but at the time no one wants to break up the nation. We are one big happy family. Okay, we are still together, a big family. Are we happy? That’s a loaded question. In my view, with hind sight I think the war probably shouldn’t have lasted as long as it did even prosecuted as a war. It was seen as a military action but things like that don’t go away because to wish them away. You fight to get the results that you want, put an end to something. If you do not want it you have to stop it. If it is just a palliative measure you are taking, you are likely to prolong it and I believe that was probably what happened in the case of the Nigerian civil war that if it had been prosecuted from the get go as a war, it probably would have been a much shorter thing. The carnage probably would have been worse but the suffering again, when you think of a war that drags on for three years, the suffering for those who were really caught in the middle could be intense but that again is debatable. I don’t think you can go through a war and come out smelling roses. You suffer. I have heard people who actually lived in the east during the war talk of their experience. Like they say in my mother’s language, they say war is not pretty. It can’t be pretty to live through a war situation. It isn’t. Now we see so much war on television. In those days it wasn’t that open there wasn’t 24 hour television, no film crews there filming every stage of the conflict, but from what we see of wars that are going on today, if that goes on for one month, it still inflicts a lot of suffering on the people who go through it.